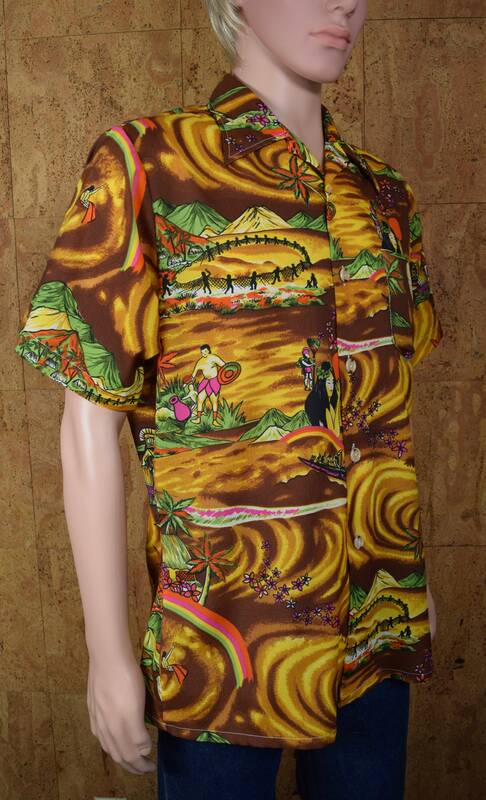 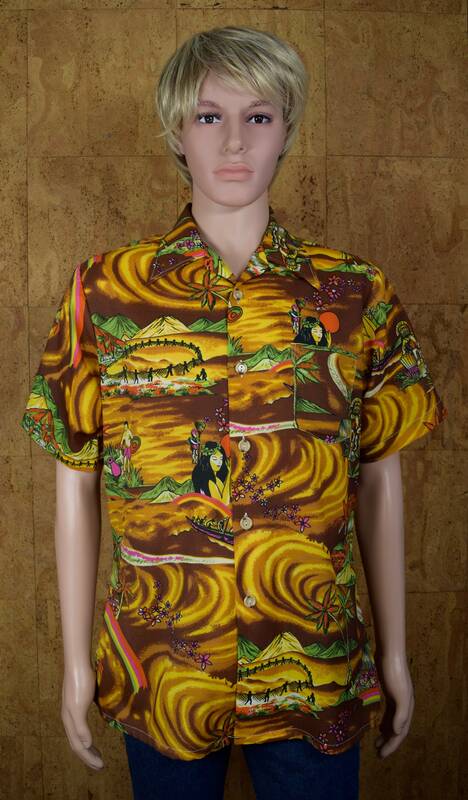 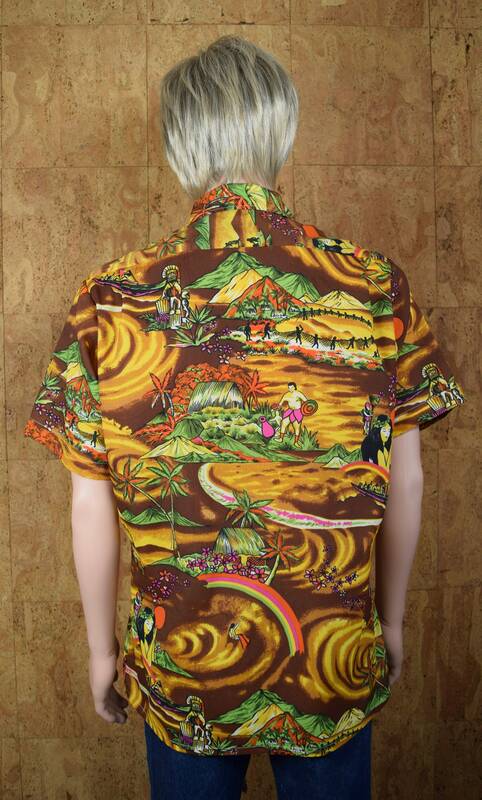 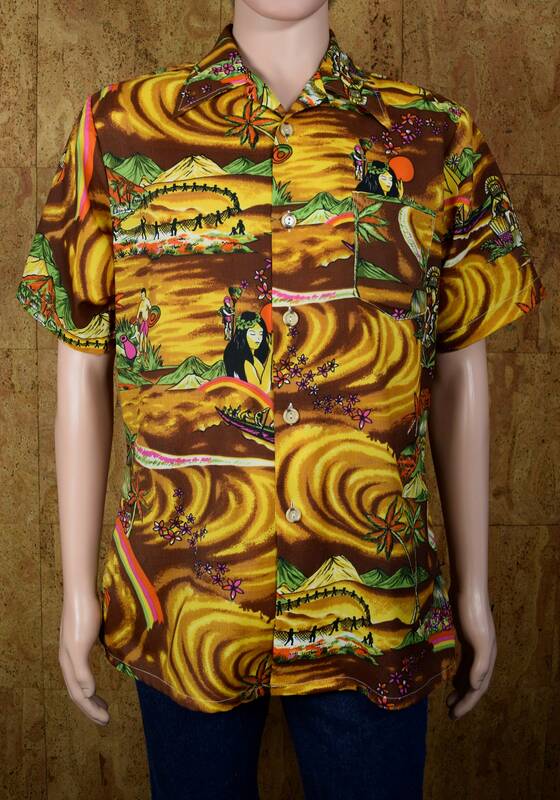 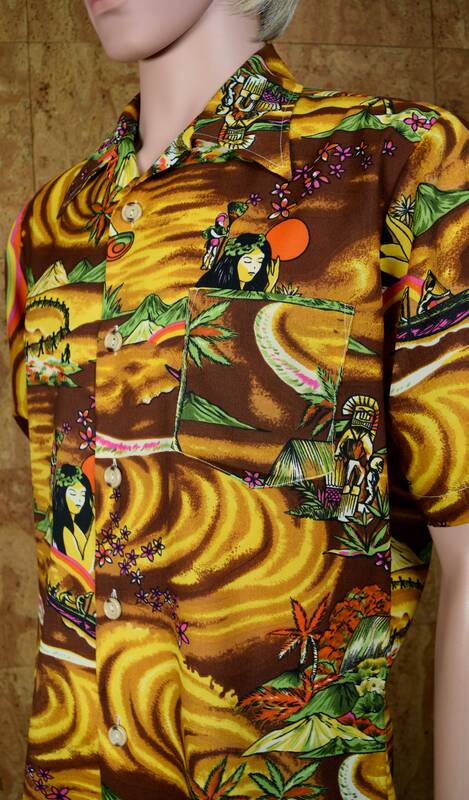 Men's Hawaiian shirt with a cool psychedelic pattern. 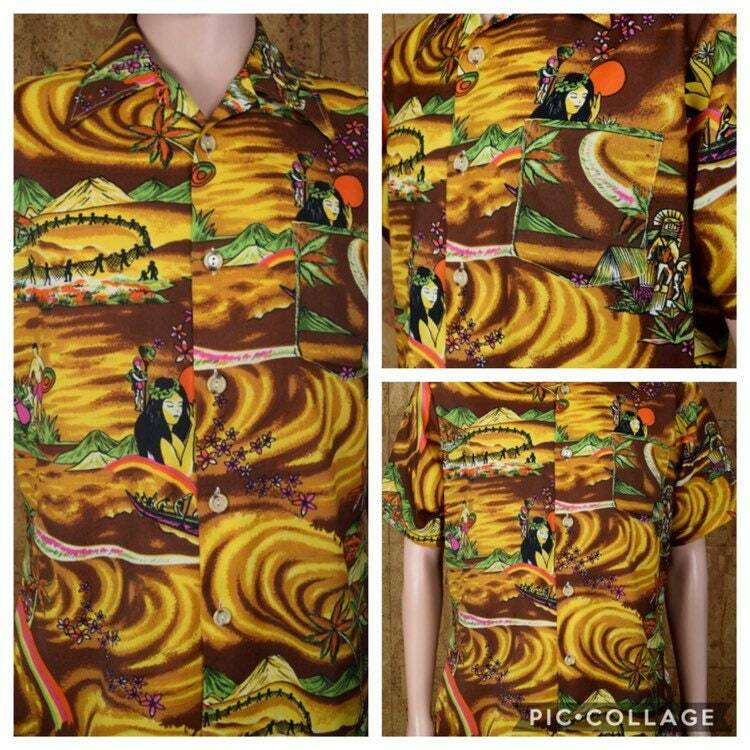 Polynesian women, surfers, tiki gods, neon rainbows, volcanos, palm trees, Polynesian scenes with people working and dancing... please see photos for the incredible pattern on this shirt. 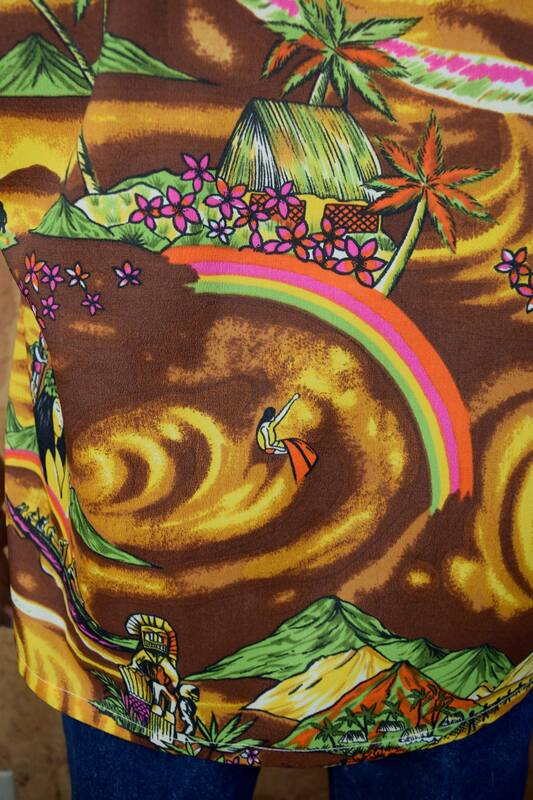 I haven’t seen one like this before and my bf would like to steal it from my inventory! 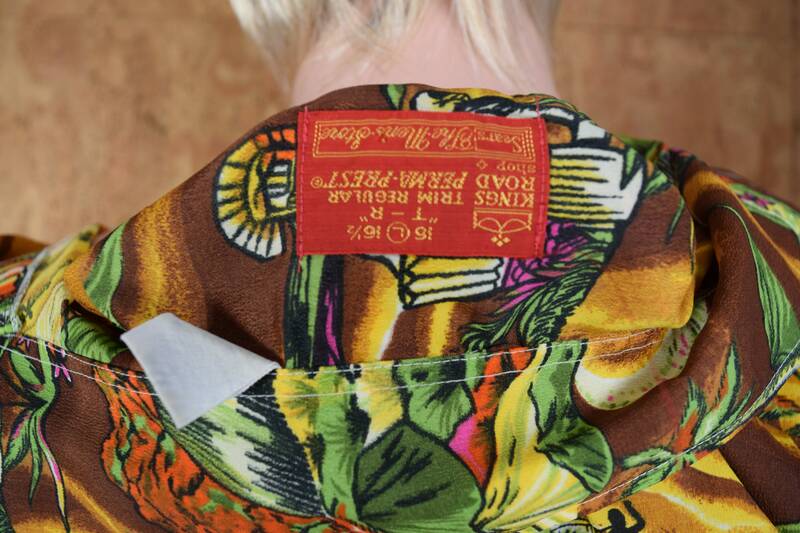 Slightly tailored at the waist for a nice fit.